Apple is set to debut its new streaming service soon. While deployment plans for iOS and Apple TV are relatively clear-cut, the plans for the Mac are less certain, given how Apple handles 4K video now, and a few other factors. On March 25th, Apple will hold its first media event of 2019. 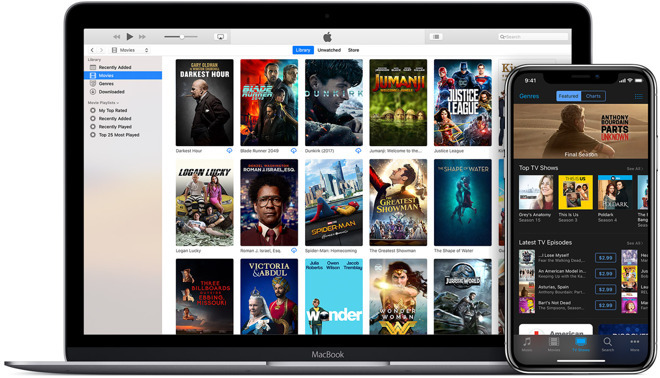 There is much we could potentially see, but with Apple's not-so-subtle press invite and the open secret that is Apple's movie and TV casting process, a new streaming service is all but a sure thing. What isn't a sure thing, is how Apple will distribute this content particularly when it comes to the Mac. On Apple TV and iOS, it likely that the new streaming service will be integrated into the standalone TV app. Both iOS and tvOS are based around on similar code and the app is available in both places as is, so it is a natural home. By integrating its original content into the TV app it will also likely boost the usage of the often maligned feature. Users will have more reason than ever to open the TV app if that is where they must go to access Apple's original content -- and the debut of an Apple-hosted streaming service has likely been the reason for the app since the beginning. On the Mac, there is no TV app. Apple has mostly ignored the desktop platform as of late, when it comes to media. Right now, Apple's video programming is handled through Apple Music through the venerable iTunes. But, Apple's 4K content distribution is limited. You can't download it at all, and you can't play it back on the Mac, at all. There is no technical limitation prohibiting playback or downloading it on the Mac, though. The iTunes app is more than capable of playing back properly encoded content at 4K in H.264 or HEVC. It will even stream this content with Home Sharing to a connected Apple TV. So, it's not some inherent software or hardware limitation. 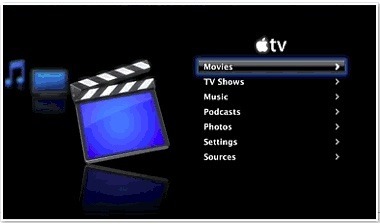 It looks like the restrictions have been applied to Apple's existing video by the movie studios. When the new streaming service launches, where will it find its home on the Mac? At best, right iTunes is merely a database with access to the iTunes Store -- and it is showing its age. While iTunes is an adequate video player on the desktop, since FrontRow was killed, it is much less so on a big screen from a distance. Another option is for Apple to release the streaming service as a new standalone app, eschewing iTunes. This doesn't seem likely, because Apple has another alternative. Marzipan is Apple's new universal framework for creating a app that works across iOS and macOS. Apple has already used this framework for several new apps in macOS Mojave. News, Voice Memos, Stocks, and Home all use this framework. Apple could create either a standalone streaming app, or they could develop a version of the TV app for the Mac. The most likely option is for Apple to create a new app for the Mac using Marzipan -- but this won't be ready in time for a spring launch, unless something radical happens before March 25. In regards to media playback, Marzipan is limited right now. It currently can't play content fullscreen or picture-in-picture, two features that would be necessary for a video streaming app on macOS. The current beta of macOS 10.14.4 shows no changes in this regard, which is expected to be released with iOS 12.2 around the time of Apple's media event. Without fullscreen or PiP support, a Marzipan-based app would be a non-starter. But, between now and a rumored fall availability of the video service is a World Wide Developer Conference. Full-screen or picture-in-picture could be added by then, making the Marzipan "port" to macOS the most likely option. Keeping the app on Marzipan would keep control of the content in Apple's hands -- which is exactly how the studios want it. This isn't great news for Mac folks, but the preponderance of iPhone- or iPad-only Apple users won't care. There's also the possibility of no Mac support for the service at all, which would be even worse news for Mac-centric users. Regardless, we will soon find out the answer during Apple's March 25th event. As of right now, it doesn't look good for the Mac, at least in the short-term. Perhaps Apple will surprise us. I would like to see the Mac see some love from Apple relative to media, but not if that means the OS gets locked down like iOS regarding media types. Currently, you can use pretty much any video type you want on the Mac which is part of is heritage as a tool for the creation and editing of content. I seriously doubt Apple's content partners would want anything on the platform that could be transcoded with the DRM stripped. BluRay was supposed to be too much for consumer PCs to handle, but there are apps that can easily rip from a BluRay Disc. As to Marzipan, it still has issues. The Home app has been known to give inaccurate (as in old) readings on a desktop Mac compared to iOS devices in the same location reading the same devices. That is far less complex than handling a streaming video service. IMHO Apple will avoid anything like this on macOS since it would be far harder if not impossible to prevent pirating. It's far easier to control some form of DRM in iOS I would think, hence Marzipan seems the logical route if not one of the main reasons for its existence going forward. Why not offer it through a web browser similar to Netflix or other streaming services? I know more iPhone owners with a PC than I do a Mac who would probably prefer to watch on their laptop.